Dropbox has had a Chrome extension for quite some time but recently they made a few improvements that make it even better for all us meeting planners and everyone else in the events industry. We think that this integration is so important that we decided to get off our butts and actually post about it on a Friday! 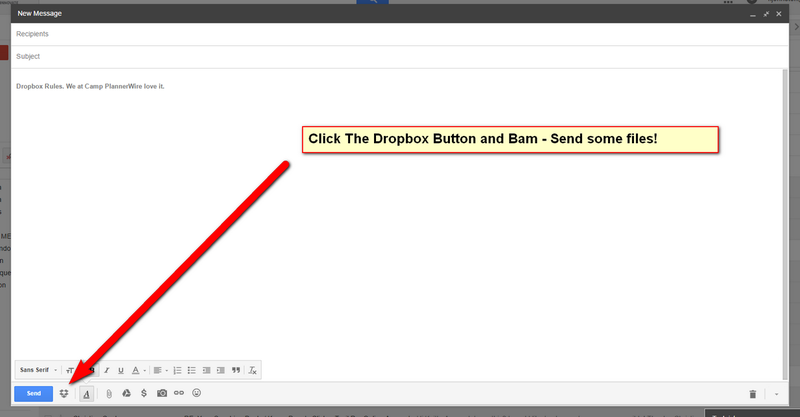 Save time sharing and reviewing important stuff with the Dropbox for Gmail extension (Beta). See rich previews of Dropbox links shared in emails. Like attachments, you can use these links to download the file directly from Gmail or add it to your Dropbox. Now you can send them all with just a click or two from a program that most of us already use. For more information, check out the help center article What is the Dropbox Gmail integration, and how do I use it? on the Dropbox website.